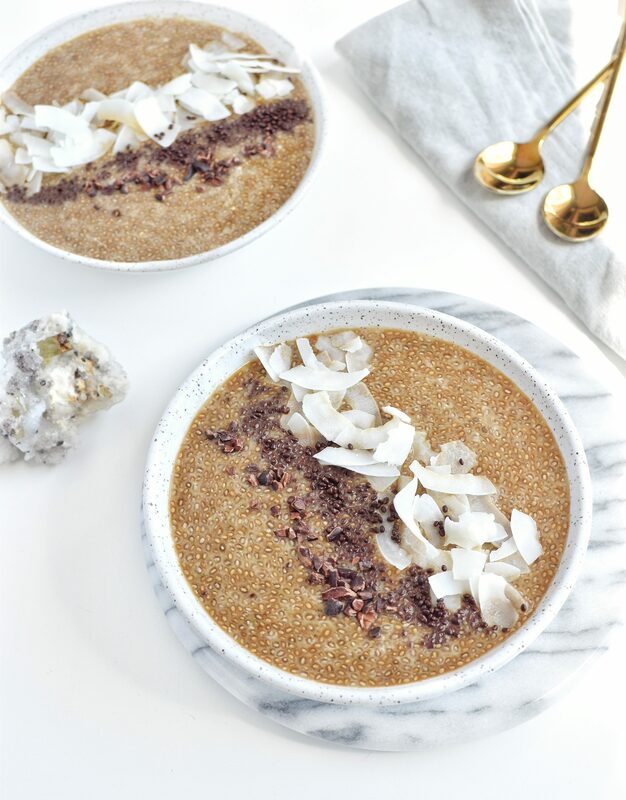 Okay, so if we are being super technical this Cold Brew Chia Seed Pudding isn’t made with cold brew…but it’s cold and made with coffee, so it seemed fitting to me. 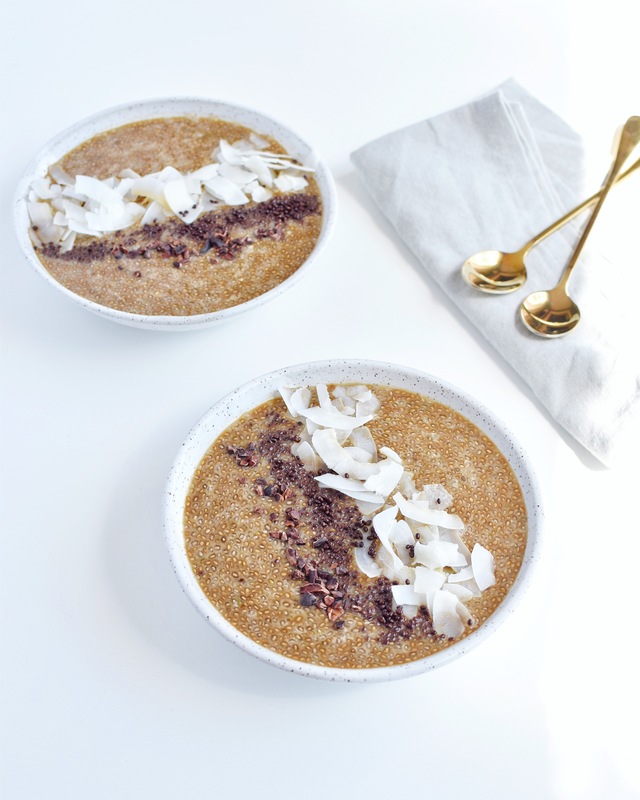 For all my coffee lovers and all around food lovers, this is the perfect breakfast! A lot of my clients skip breakfast and just stick with straight coffee, but I’m not about that life. If you’ve read a lot of my posts you know that this has negative consequences for your blood sugar balance and hormonal system, especially if you workout in the morning. Working out in the morning, in a fasted state, damages your bodies hormonal system because you are running solely on cortisol. While many love the health benefits of intermittent fasting and fasted cardio, it is really dependent on the individual and can be especially damaging to a woman’s hormonal system. Add coffee, which also increases cortisol levels and impairs blood sugar regulation and insulin sensitivity, and you may be setting yourself up for damage. 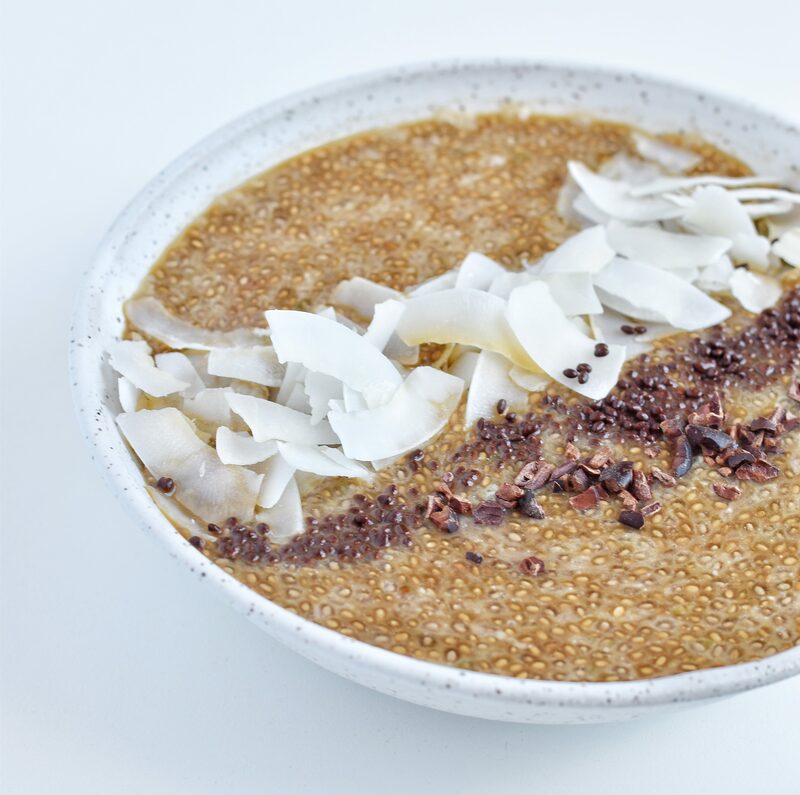 That’s why I recommend bulletproof coffee in the morning… or this awesome chia seed pudding, if you aren’t ready for a full meal before a workout or before you start your day. Bulletproof coffee keeps your body in a fasted state because there are no carbohydrates to spike insulin, but it still allows your body to have fuel other than just cortisol. 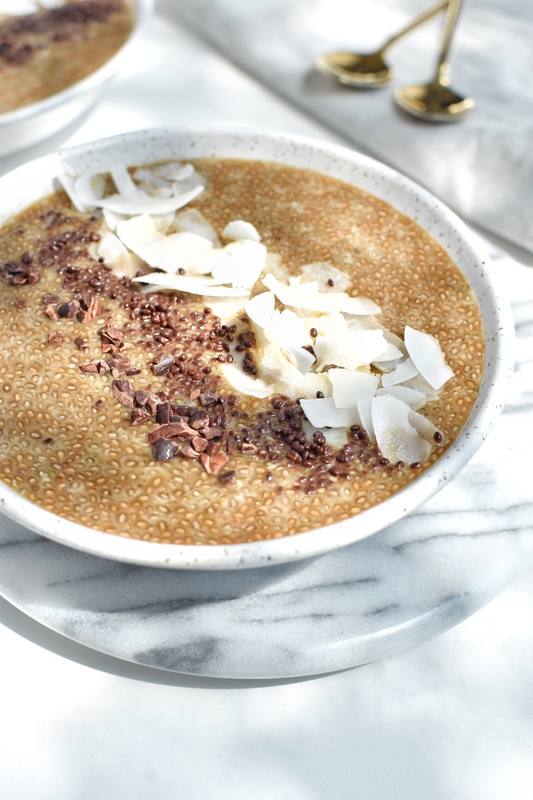 Just like this chia seed pudding! You are giving your body healthy fats, which not only balance your blood sugar, but provide your body a source of fuel without an insulin response. 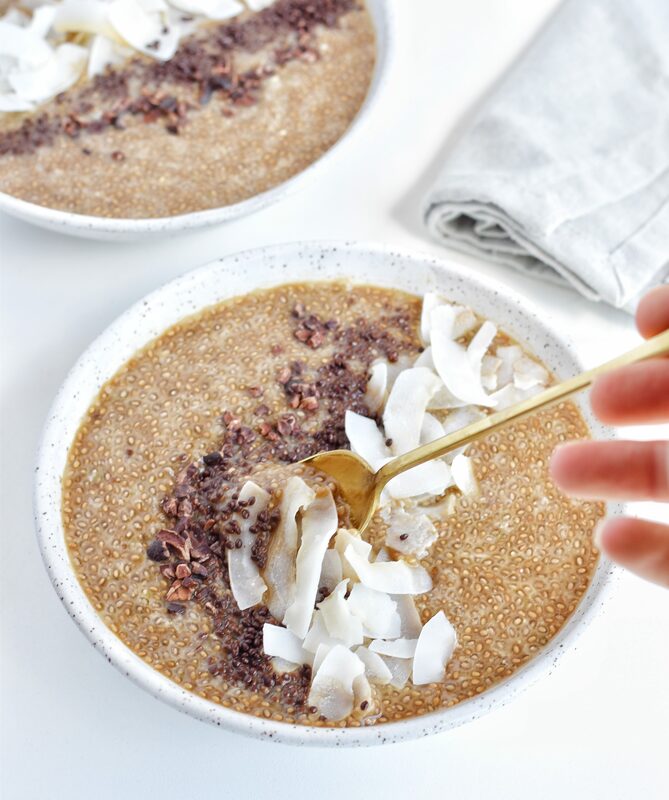 If you found all of that a bit boring, that’s okay, you’ll still love this super simple recipe that gives you that morning jolt from coffee, but also allows you to have the blood sugar balancing effects of fat and the health benefits of fiber! I also love adding a protein source to this such as Vital Proteins for added amino acids and blood sugar balancing. 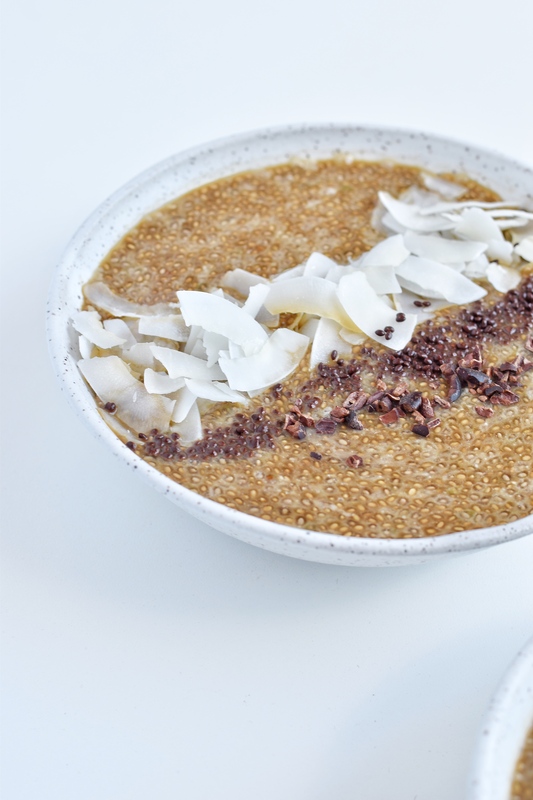 Another cool thing about this recipe is that it uses Salba Chia seeds instead of your run of the mill black chia seeds. I’ve gotta brag on Salba Chia for a little bit here. There are more than 100 strains of chia seeds and they isolated the 2 most consistent and strongest varieties…and that’s ALL they grow. Unlike other brands, there chia seeds are single source so they know exactly where they come from and the type of chia! 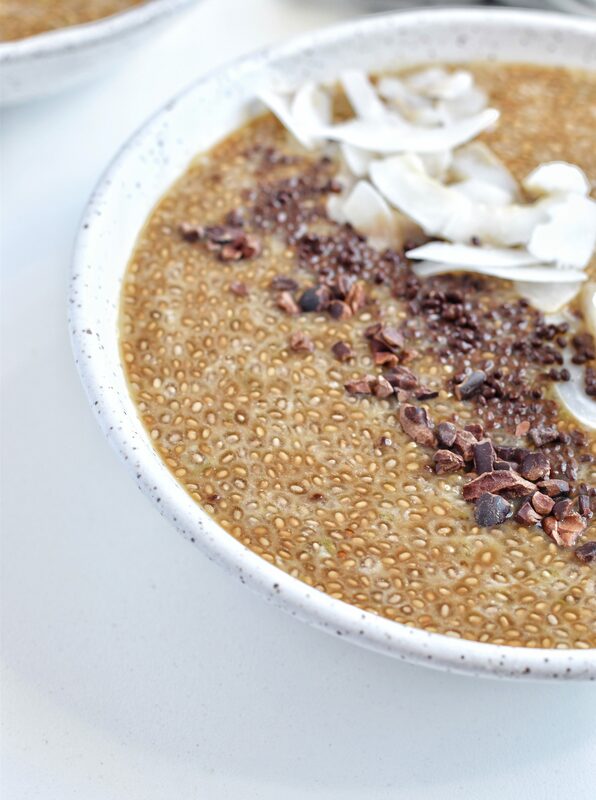 This means that the chia seeds are consistent, making it easier to manage recipes (same water absorption) and know the nutritional content. Chia seeds can vary up to 60% from what is on the nutrition label, but Salba Chia is always consistent! Also, they are a sustainable company that co-owns and operates all of their farms and they grow all of their seeds organically and without herbicides and pesticides. Okay okay, I’m really tooting their horn here, but you can see why. Oh, and they are a Colorado company to make my heart swoon even more! You can buy Salba Chia Seeds here. 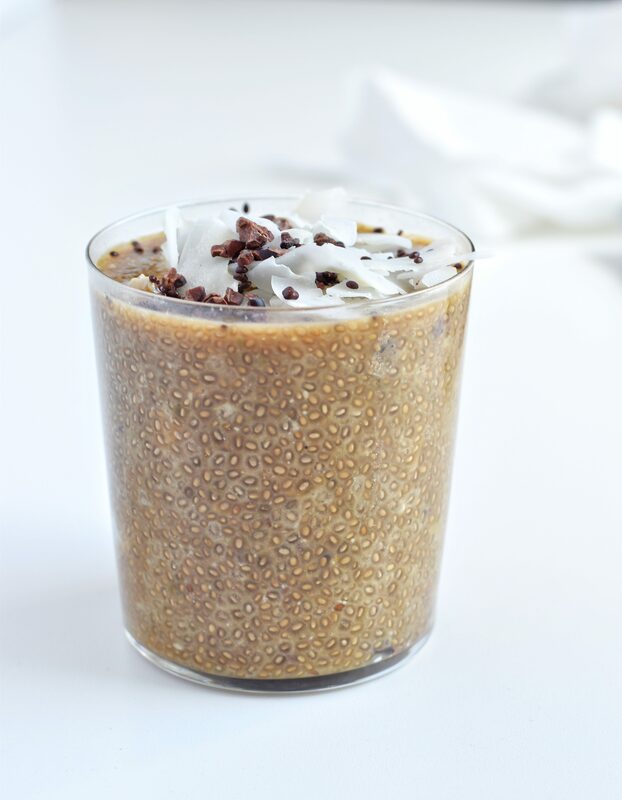 Okay, let’s get onto the recipe for this Cold Brew Chia Seed Pudding and all of the goodness its got inside! I took this up a few notches by using Four Sigmatic coffee instead of just your regular coffee and Salba Chia seeds. Four Sigmatic has some oh so trendy shrooms in it, which not only aid your immune system and the rest of your body in so many ways. They also help counteract the affect of the caffeine in coffee, giving you a better energy source that lasts longer and isn’t just a spike in cortisol, yay! You can find this awesome shroom coffee here. 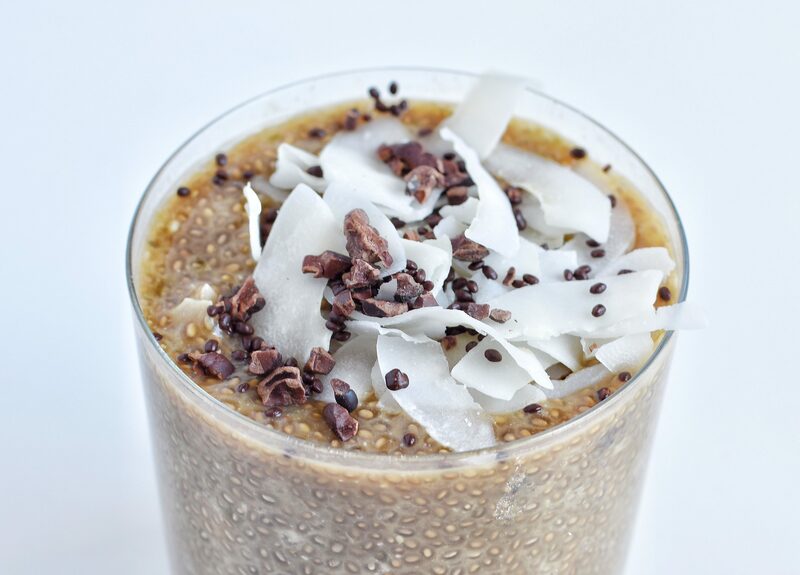 Combine powdered coffee, powdered coconut milk, chia seed, hot water, salt, and honey in a jar. Mix ingredients well by shaking jar! In the morning, shake your jar, pour into a bowl, and top with your favorite ingredients! You can also use 2 cups of cold brew instead of the powdered coffee and hot water. Or you can use 1 cup coffee with 1 cup almond or coconut milk! 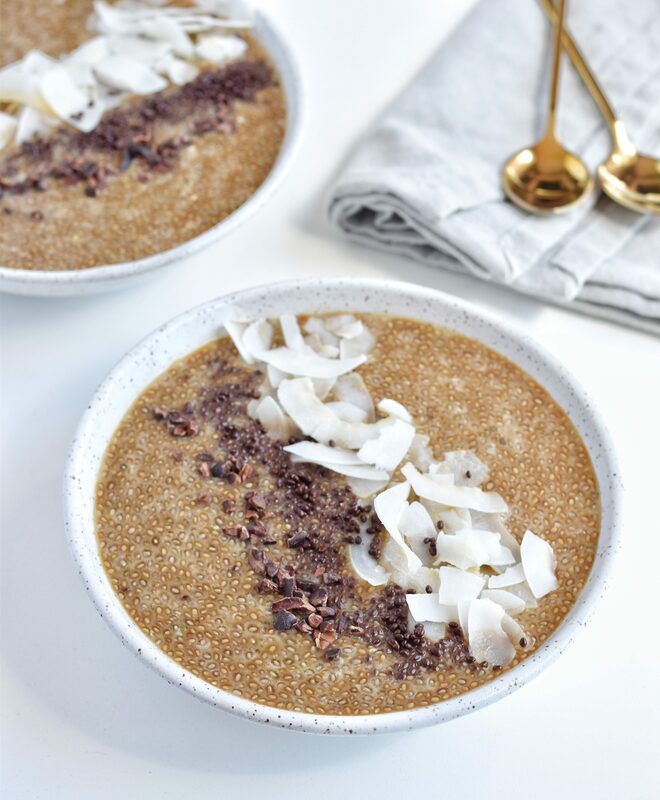 I hope you love this recipe for Cold Brew Chia Seed Pudding as much as I do and got a lot of valuable information out of this post! 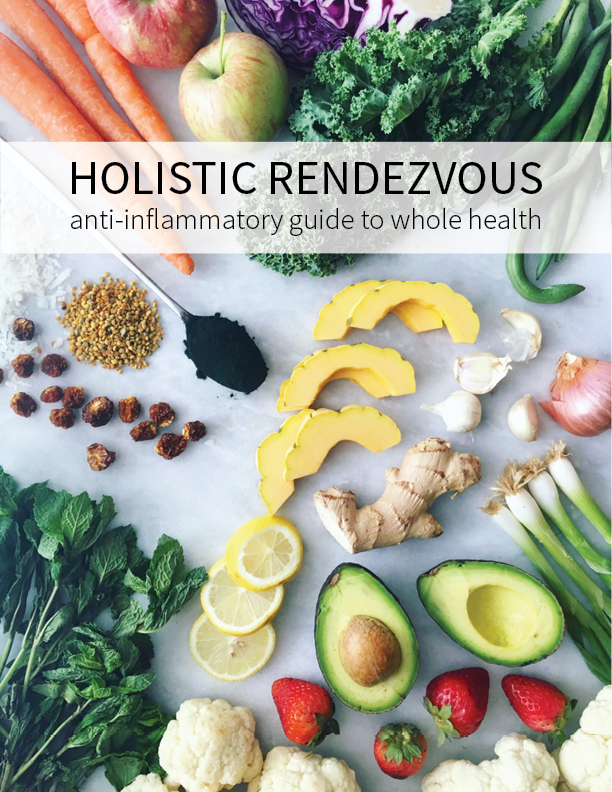 If you make this recipe, don’t forget to comment below to let me know your thoughts, and also take some photos and tag @holisticrendezvous and hashtag #holisticrendezvous!